Earlier this summer, Mr. Kern tested for his 5th degree black belt at the 2018 World Championships in Little Rock, AR. He had to wait weeks for the results and he is pleased to share the news: He passed! Mr. Gonzalez also passed his test for his 4th degree black belt! Congrats, sir! Mr Moore and Mr. Kern in the testing ring along with over 50 others (top). Chief Master Jager tested for the rank of 9th degree black belt (left) as did my training instructor Master Blomquist passed his test for 7th degree! What a great memory to share and sense of accomplishment to bring back to our students! Graduating from bars to stars! Last Friday evening, Mr. Kern completed his final requirement to test for his 5th degree black belt at Pursuit Martial Arts. Master Blomquist and Mr. Haynes hosted a fun-filled evening. Mr. Kern's instructor, Master Hauptman, was the VIP Guest of Honor and flew out from Colorado, bringing along several Paragon black belt instructors. Almost a dozen black belts filled the room with energy during this regional black belt midterm testing. What a great experience! Looking forward to Little Rock in July to also watch Master Blomquist test for 7th degree and Chief Master Jager test for 9th degree! 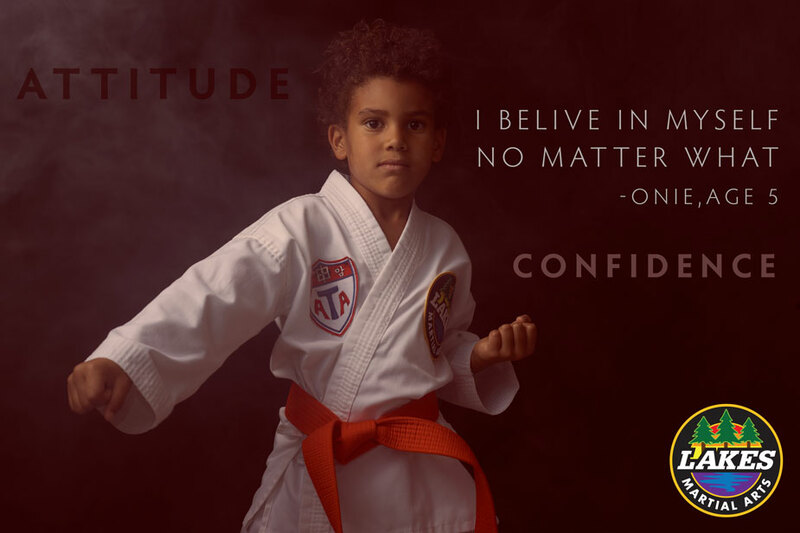 Lakes Martial Arts in Minneapolis is proud to host a summer day camp for kids ages 5 - 12. The camp will be held at the Pershing Recreation Center 9 a.m. - 3:30 p.m on August 20 - 24, 2018. The week will be action-packed fun for kids mixed with creative weapons, forms, sparring, friends, board breaks, movies, and more! Includes T-shirt, testing fee, and color belt rank promotion opportunity. 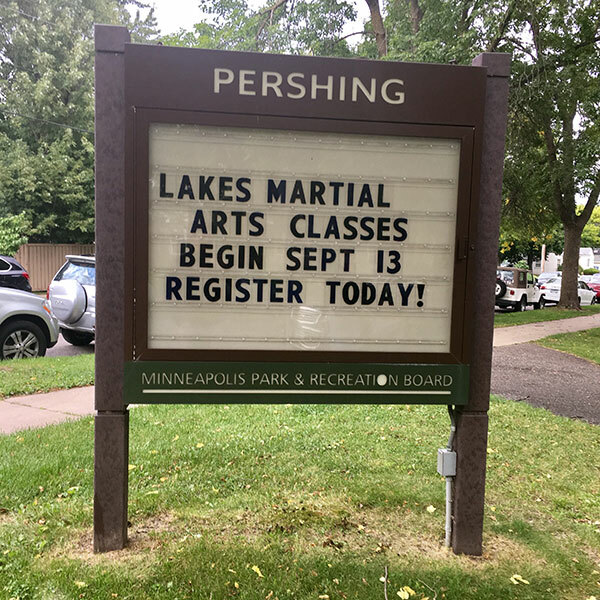 Participants do not have to be enrolled in a Lakes Martial Arts program. Train and learn from high rank instructors at this unique experience now offered for the first time! 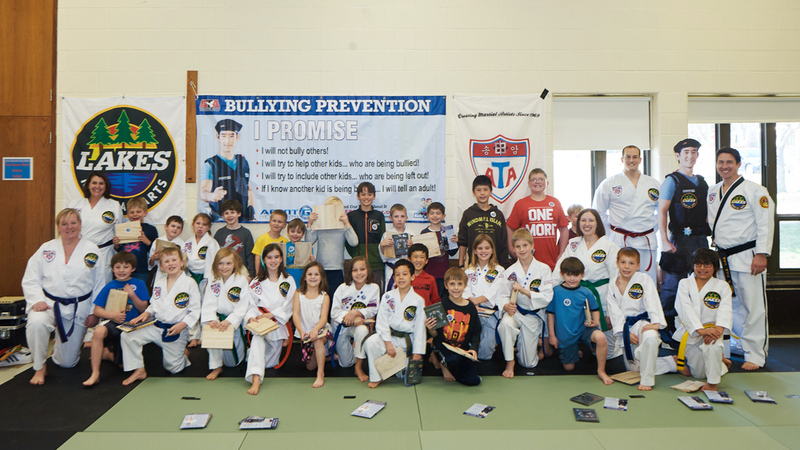 Over 150 students have participated in the Bully Prevention Seminars at Lakes Martial Arts since April 2015 plus over 500 kids through the Minneapolis Safety Camp held each summer. Join us to put an end to bullying! 30 spots are available for the next Bully Prevention Seminar held at the Pershing Recreation Center on Saturday, Oct 29 from 12:30- 2:00 pm. This 90-minute seminar will focus on bullying, one of the biggest issues facing schools today. There will be demonstrations and discussions about what is bullying, the differences between tattling and bullying, how to report bullying, what students can do to prevent bullying. Guidance will be discussed on how to prevent bullying through confidence, self-defense, and leadership skills. Each student will have opportunity to practice newly-learned skills and opportunity to demonstrate confidence in a celebratory “board break” at the end of the seminar and be given a “Agent G kit” to re-enforce the concepts discussed at home. 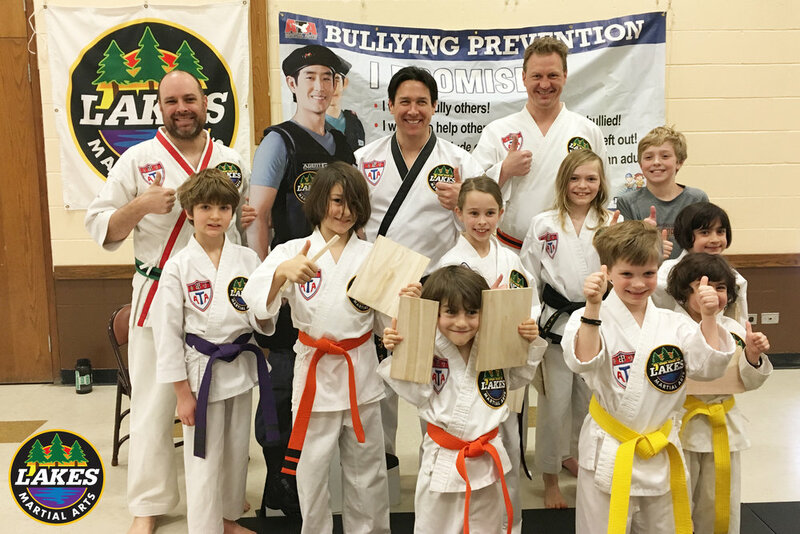 Lakes Martial Arts students will have the opportunity to earn their green stripe! To learn more about the program and goals, either click here to view the Lakes Martial Arts blog post or contact RJ Kern at (303) 474-0983.